Abu Dhabi is all set to embrace the sailing regatta for next six years. The city has won the bid to host the international sailing event. The sports event is estimated to boost the number of tourists visiting UAE annually. Along with the amazing skyscraper building, Now UAE has a lot more to offer to the sports enthusiasts. The International Sailing Federation’s (ISAF) World Cup Final – the world’s pinnacle sailing regatta contested by the best Olympic-class competitors – is on its way to the UAE. The ISAF has agreed to stage the ISAF Sailing World Cup Final, Sailing Regatta in the UAE capital for the next six years, starting this year, following an approach by Abu Dhabi Sailing & Yacht Club with the support of the UAE Sailing & Rowing Federation and Abu Dhabi Tourism & Culture Authority. “This is a major surge forward in Abu Dhabi’s campaign to be recognized as an international sailing hub and another fantastic opportunity for our youngsters to compete with and learn off the world’s best,” said Ahmed Thani Al Romaithi, chairman, ADSYC and vice-president, UAE SARF. An associated deal between ISAF and TCA Abu Dhabi will also see the UAE capital host the 2016 ISAF Annual Conference, Sailing Regatta, which is estimated will deliver 1,500 hotel room nights to Abu Dhabi, a statement said. “We have found a highly committed partner in Abu Dhabi and look forward to helping move forward the sailing ambitions of the emirate and the Arabian Gulf. This is a great opportunity for sailing as a sport,” said Mr Carlo Croce, president, ISAF. “We have struck a ground-breaking partnership with a world-class destination for a Tier-1 event.” The 2014 ISAF Sailing World Cup Final,Sailing Regatta, will take place in Abu Dhabi from November 26-30. Around 350 sailors from 20 countries are expected in Abu Dhabi to compete in all 10 Olympic events and a kite-surfing event, in and around Lulu Island off the UAE capital’s stunning Corniche. “This year’s final is only three weeks before Abu Dhabi hosts a Volvo Ocean Race stopover when again, the city will be alive with all things maritime, sailing and entertainment,” said Sheikh Khaled Zayed Saqr Al Nahyan, chairman, UAE Sailing & Rowing Federation. The 2014 final will comes hot on the heels of two other key international events being staged in the emirate this November. “November is shaping up to be an action-packed month in Abu Dhabi, with Abu Dhabi Art and thousands of international motorsport fans once again arriving in the emirate for the Formula 1 Etihad Airways Abu Dhabi Grand Prix,” said Sultan Al Dhaheri, Acting Executive Director Tourism, TCA Abu Dhabi. The sailors are expected to arrive early to train for the event and, in all, TCA Abu Dhabi estimates each final will deliver around 7,500 hotel room nights to the UAE capital. ADSYC is to increase its laser and 49er fleets to accommodate the finals with the fleets later being available for sail training to its members, residents and visitors. 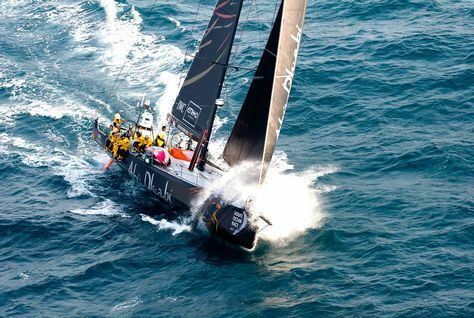 If you are a sports lover, then UAE must be in your list where you can enjoy the adventures sports along with enjoying the international sailing competition.